The former president of the Largo High School Booster Club was arrested Wednesday for stealing thousands of dollars, according to the arrest affidavit. 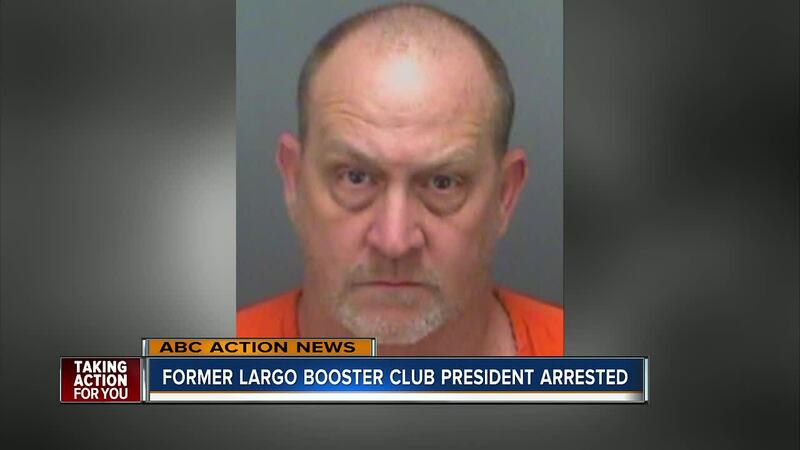 LARGO, Fla. — The former president of the Largo High School Booster Club was arrested Wednesday for stealing thousands of dollars, according to the arrest affidavit. Dean Newton, 55, was in charge of handling all the finances for Largo High School's sports teams. In late 2017 that affidavit says it was discovered Newton failed to pay invoices and that he sent fake ledgers to coaches. The fake ledgers showed the account with a balance of over $10,000, but it really only had $611.30, according to the affidavit. The invoices that were unpaid ended up totaling $19,246.13. While he was president a minimum of $30,000 was collected for various sporting events but not deposited, according to the affidavit. Newton admitted to authorities that he mislead the coaches about the balance of the account, but he denied taking money directly from the it, according to the affidavit. The affidavit shows that Newton told authorities his son had stolen some money when he brought it home to count, and that he "tried to fix it but got in way over his head." Newton was arrested for scheme to defraud on January 9, 2019. It's unclear from the affidavit why he wasn't arrested in 2017 when the theft was discovered. Newton was president from 2012 until 2017.